I totally feel like I'm there with these posts. So informative and what a cool thing for your family to participate in. I want some of that taffy! Fabulous day! I felt like I was there with you. I wish I had some snow and some maple syrup to make those sweets! 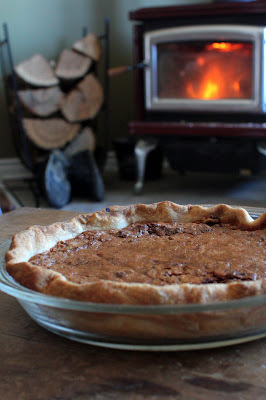 Very interesting twist on the pecan pie using maple syrup. I look forward to trying it. Oh no! 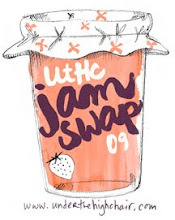 I'm SO making this one this weekend! AND eating it too but with Bilboquet Tire ice cream. So YUM! Again, such wonderful pictures!! 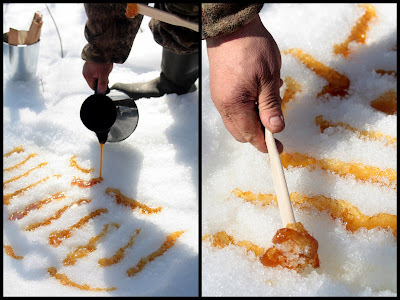 I just love the pictures of the maple taffy being formed in the snow. What a cool process. And, of course, your maple pie looks totally lethal. How delicious! Just amazing! Such lovely memories you are creating for your family. I've been reading your blog for a while and not commenting, but these two lovely posts must be commented on. You have no idea how jealous you have made me - I want to get on the first plane to Canada and eat as much maple syrup as possible! Beautifully written, pretty pictures, yummy recipes. Thank you. What an amazing post! I truly feel like I was right there with you, except for the fact that I wish I could taste all the delicious food. And how cool is the taffy made in the snow! Hi Kirsten- I guess my enthusiasm shows! Hi Lorraine- The snow is melting fast, soon we won't have any either. Hi Treehouse Chef- I hope you do--it's amazing. Hi missweb- Oh is the tire icecream available now?? Gotta get me some. Hi Roving Lemon- Now why didn't you?? Glad you had that experience. Hi LaMammina- I like to think so. Hi Emma-kate- Thanks for commenting! Nice to have you around. Hi culinarywannabe- Yep the taffy is pretty old-school, just like Laura Ingalls used to make it. I can't even tell you how much I've enjoyed reading your sugaring posts. 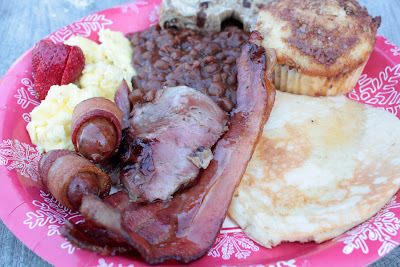 I could almost smell everything, especially that breakfast! Thanks so much for sharing it all with us. I like Martin Picard and his recipes. I have to go to his restaurant some day. Sounds wonderful Aimee! Thank you for sharing it with us and the pie recipe. 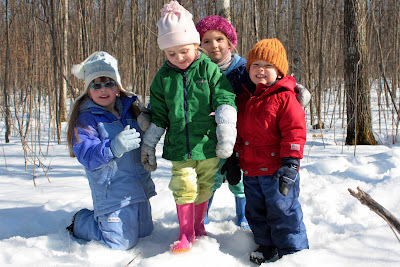 I just hope I get to do a little "sugaring off" myself this year because I am seriously jealous right about now! I really enjoyed reading these posts, Aimée. You seem like you had a fantastic time. This is something that the kids will always remember. What a wonderful experience for you all Aimee. I think I'll make this for my dad's birthday. He used to head up to the cottage and tap our own maple trees and reduce the sap on a old coleman's stove. He was so proud of his one or two rustic jars of mirky syrup. Paula and I loved reading your account of the wonderful day at Lynn and Marc's. 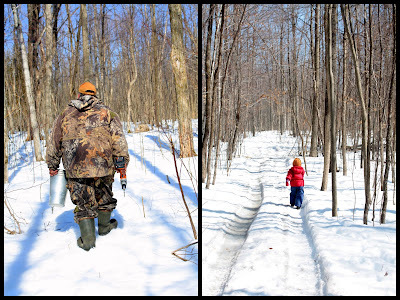 We too enjoyed ourselves and the delight of home cooking topped off with maple syrup. Lanark County, where we live, prides itself on being the Maple Syrup capital of Ontario, but I can assure you that Marc and Lynn's home-op is as good as anything we've tasted here! Thanks for the fond memories and the great pictures. What a fantastic post -- thanks for sharing such a great experience! And the pie... looks like heaven! This is great. Urged on by your post, we got fresh syrup this weekend. I'll definitely try the pie. Thanks. Mmm. That meal looks fantastic. And I'll bet it tastes all the better when eaten in the atmosphere of syruping!! Will definitely be bookmarking that pie. I do love me some maple syrup! That maple pie looks so good! 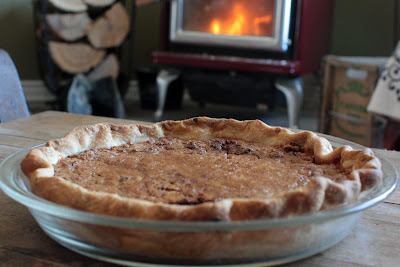 Gorgeous photos and gorgeous pie! 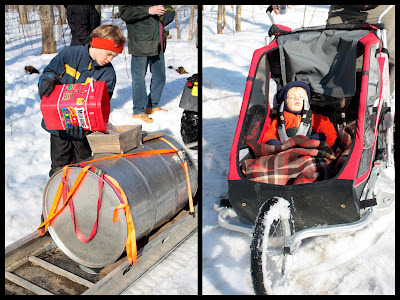 Does anyone know of a nice cabane a sucre that is not too walt disney where I can bring my young family. I live in the laurentians but am willing to go far for a nice experience. Beautiful pictures! What a fun trip! 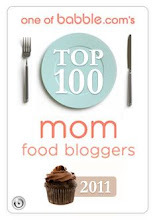 I would love to add you to my Foodies blogroll. You're recipes are inspiring and your stories are very entertaining. Thanks so much for sharing. I'm really enjoying your blog! Man, that pie looks so good. Almost like the tarte au sucre my grandmaman made! Oh goodness. I am all about this pie! I love pecan pie and I love maple syrup. 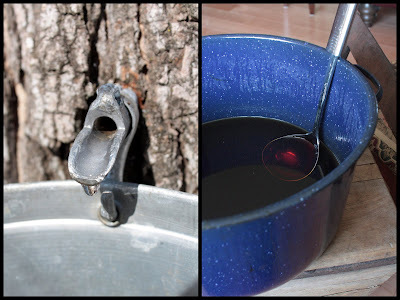 I also love your maple sugaring posts! It's a tradition now. I really liked your sugaring-off pieces. They were a reminder to me that, yes, I do love winter even though I wish this one were over! Sounds like a beautiful day...thanks for sharing it with us!